After over a year of meeting with neighbors, stakeholders, and City of Dallas staff, the WindMass Capital development team has thrown in the towel just before this Wednesday’s City Council meeting where they would have been on the agenda to move forward on a very complicated deal. WindMass owns the Founders Square Apartments. Over the decades the building became surrounded on three sides by Oak Cliff‘s Founders Park. Long story short, they hoped to swap their 1.37 acres for the adjacent 1.37 acres on the corner of Colorado Blvd. and Marsalis Ave., build a new mixed-use apartment building with retail on the ground floor, then demolish their old building, give it to the city all cleaned up like park land should be, and give a half million dollars to the city for additional park improvements. Sounds pretty crazy amazing, doesn’t it? As Willis Winters, Director of the Park Department, said at the last Park Board meeting, the city has tried to purchase this property for years to make Founders Park more contiguous, but hasn’t been able to afford it. This project would essentially accomplish that goal for the Parks Department. Even neighbors and stakeholders were in support, a rare feat in itself! 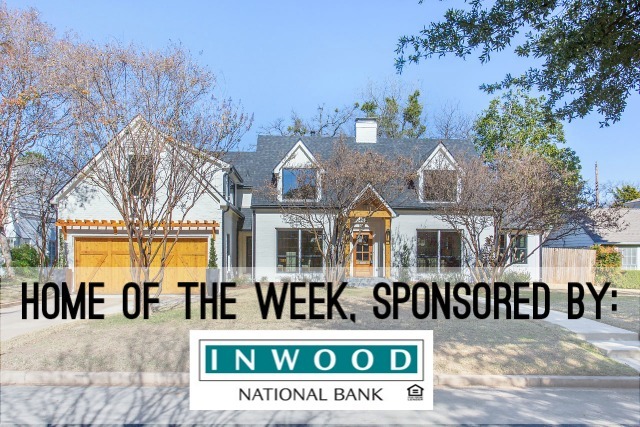 Our Inwood Home of the Week is an East Kessler Park traditional at 435 Allison Drive, and it has quite a story. Let’s begin with the fact it was built for John Stemmons. Yes, that John Stemmons. When Steve Kettering of Kettering Ideas and his partner (and daughter), Neysa Font, found this East Kessler Park traditional, they knew it had a lot of potential. If you’ve driven past this building in North Oak Cliff a hundred times and wondered what it’s like inside, then today’s Thursday Three Hundred will satisfy your curiosity. 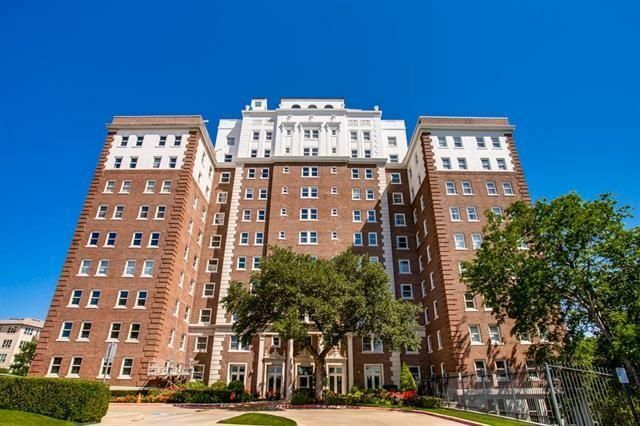 This is a rare corner unit in Lake Cliff Tower in North Oak Cliff, with sweeping downtown and Calatrava bridges views and lots of updates. Colorado and Zang boulevards, this condo has two bedrooms (dual master suites), two full bathrooms and a half bathroom, and 2,030 square feet, built in 1929. This is a historic building with so much character—look at that beautiful masonry! Lake Cliff Tower was totally overhauled in 2005-2006, and is about a mile from Downtown Dallas on the Houston Street viaduct over the Trinity River. This is the gateway to North Oak Cliff. Every unit has a permanently unobstructed views of the lake or downtown, and the building sits one block from the Trinity River Corridor Project, which includes over $1.25 billion in area improvements, like new roads, hike-and-bike trails, wetlands, and lakes and new park and recreation facilities. This unit was listed April 28 by Ged Dipprey with Dave Perry-Miller Real Estate for $399,900. Monthly HOA dues are $913. Happy Thanksgiving! Looking for something to be grateful for? Here at CandysDirt.com we’re absolutely grateful for the amazing deals you can still find in Dallas, especially in North Oak Cliff. This area of Dallas is super hot, and it’s difficult to find a deal thats in good shape. But we’ve found a great candidate for someone who wants a home with character and history. It’s a listing with Jenni Stolarski, a Realtor with Briggs Freeman who knows a good investment when she sees one. 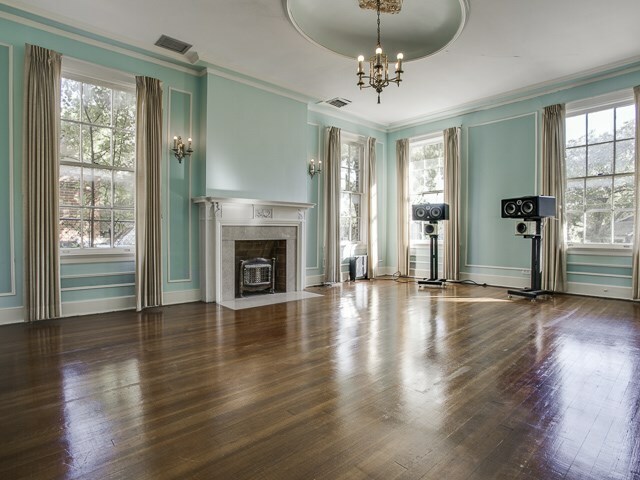 Stolarski says this home at 1031 N. Madison has views of downtown Dallas from the front porch! Now that’s a selling point if there ever was one.